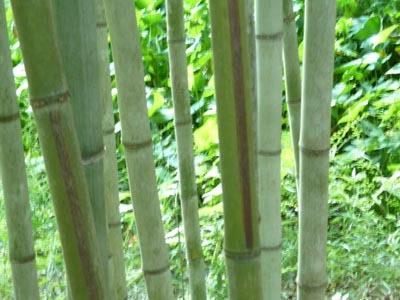 Phyllostachys edulis – Moso is the largest of the cold hardy bamboos. 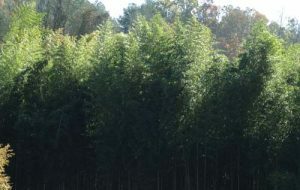 My grove has some 6 inches plus sized canes and they can get as large as 7 inches in diameter. 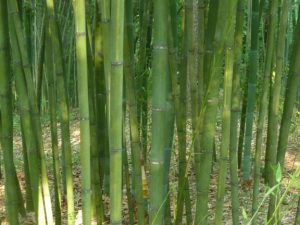 Phyllostachys vivax – Vivax bamboo is the second largest of the cold hardy bamboos. 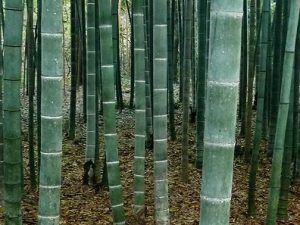 With culms up to 6 inches in diameter and 70 feet tall, it’s an impessive giant. Very cold hardy. 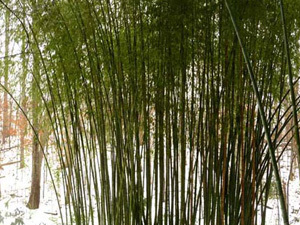 Phyllostachys bambusoides – Japanese Timber Bamboo is the second largest cold hardy bamboo. The giant canes have high quality wood and are ideal for construction. 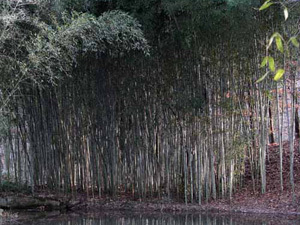 Phyllostachys nigra ‘Megurochiku’ or Black Stripe Bamboo is a beautiful giant with the gray look of Henon. Some canes display a brown to black stripe on some internodes. 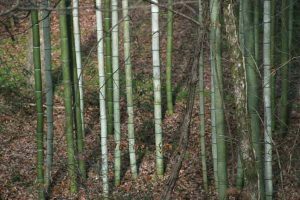 Phyllostachys bambusoides ‘Castillon’ – Castillon Bamboo Giant yellow canes with wide green stripes on node, alternating from side to side. Not as large as the species, but big! 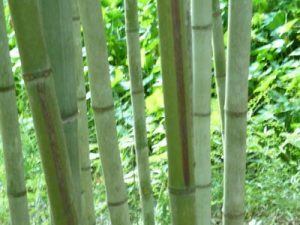 Phyllostachys nigra ‘Henon’ – Giant Gray Henon has a distinct look. Across a field it can look ghostly, a cloudy gray. Up close the big canes are a distinct gray color. 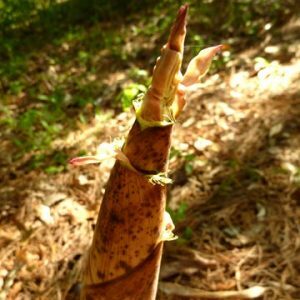 Phyllostachys dulcis – Sweetshoot bamboo is said to have the sweetest shoots. It’s hard to describe but the soft way the canes kind of “wiggle” make this a favorite. 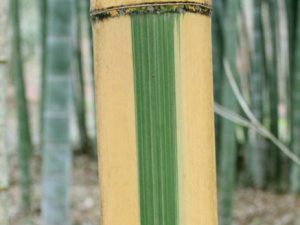 Phyllostachys viridis ‘Houzeou‘ is a form of P. viridis with yellow groves on the canes. It is one of the giants with the look of the species. 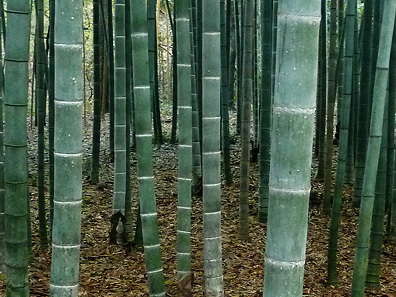 Phyllostachys bambusoides ‘Slender Crookstem’ – Slender Crookstem is similar to the species but not as large. An ocassional cane has a crook or zig-zag at the base. 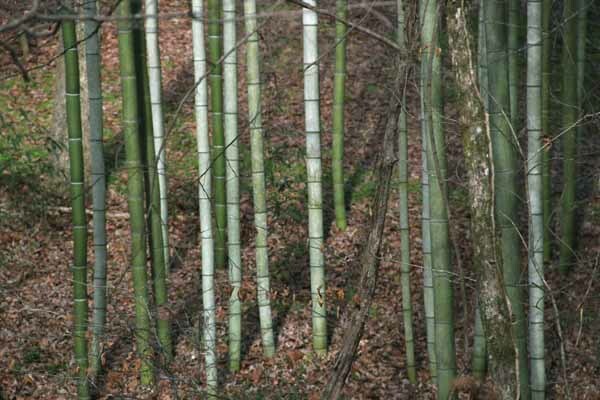 Phyllostachys atrovaginata- Incense Bamboo is supposed to have a smell of incense when the cane is scratched or bruised. Very cold hardy.